Do Solar Eclipse Glasses Fit and Work Over Regular Glasses? 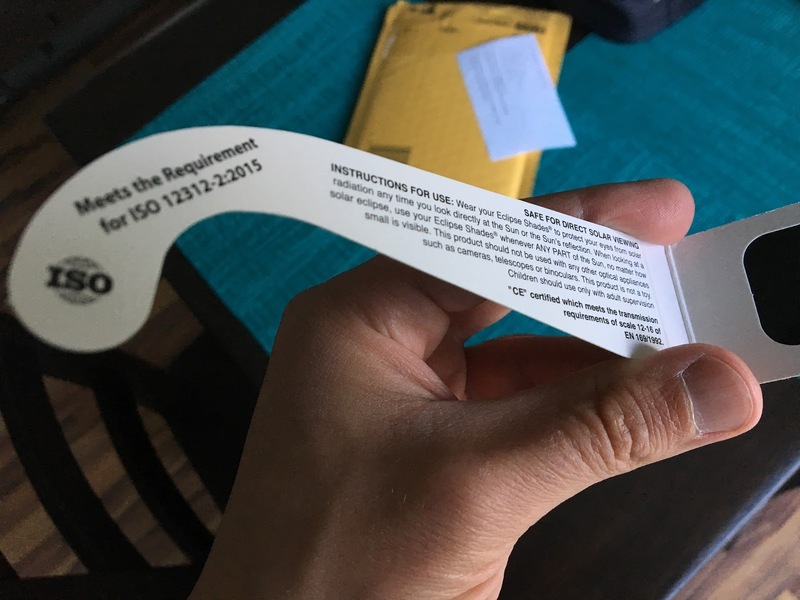 Yes, traditional cardboard solar eclipse glasses fit over regular prescription glasses. Yes, solar eclipse glasses work over prescription glasses, and allow you to see the sun as a crisp orange circle (or blue/green depending on the eclipse glasses). 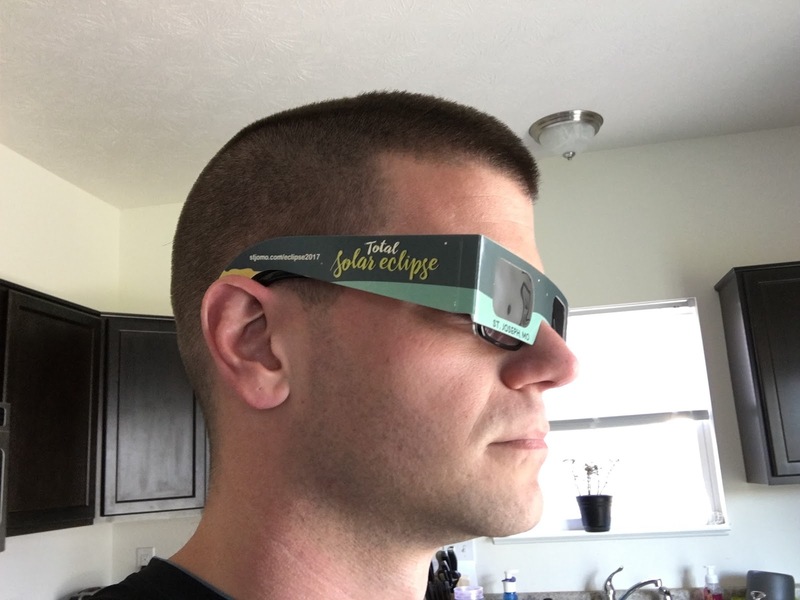 I wanted to post about this because I wear regular prescription glasses everyday and I want to assure people that they will have a comfortable and enjoyable view of the solar eclipse with the cardboard total solar eclipse shades directly on top of their regular eyewear. See photos! I know this can be a concern for people, because you don't want to sacrifice the clarity of viewing with your prescription, but you also don't want to hurt your eyes duh! As someone who used to buy contact lenses just so I could go to 3D movies, I'm always worried about whether or not the additional eyewear will go over the top of what I'm already wearing! These particular eclipse glasses I ordered from the St. Joseph, MO Convention and Visitors Bureau online store on their event page for the 2017 eclipse. I got a 6-pack for $10+$4 shipping. St. Joseph is where I'm going to view the eclipse, so I figured it would be nice to have souvenir eclipse glasses to save in my memory box to mark the event. You can also get eclipse glasses on Amazon for cheap, and you'll probably see more and more of the custom printed ones popping up closer to the event. These were actually printed by Rainbow Symphony, which is the exact same ones they sell on Amazon, and if you wanted to really wow your neighbors or co-workers you could order your own custom printed ones. The sun appears as an orange dot through the glasses. It doesn't provide any magnification, but remember the sun is the same apparent size as the full moon during an eclipse, so you'll be able to see enough of the disc of the sun to notice a huge slice covered on its way to totality. These are branded for the specific event I'm attending so it will make a great souvenir! I have my itinerary narrowed down with my sister. We have our hotels booked, and our driving route planned. 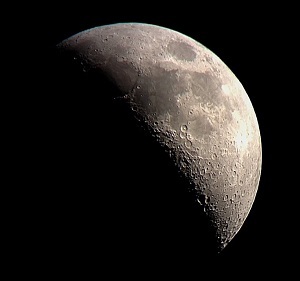 If you're going to be in St. Joseph let me know in the comments, and if you have any tips for a first-time-total-solar-eclipse-viewer let me know in the comments!